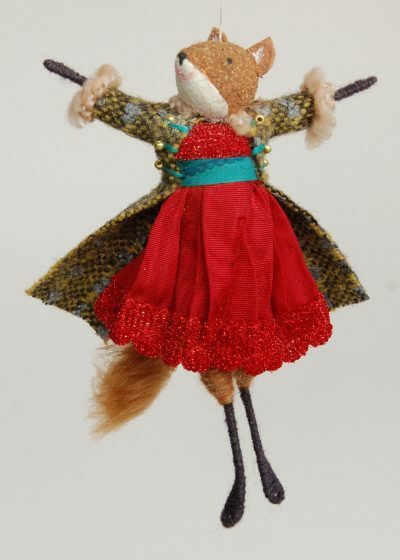 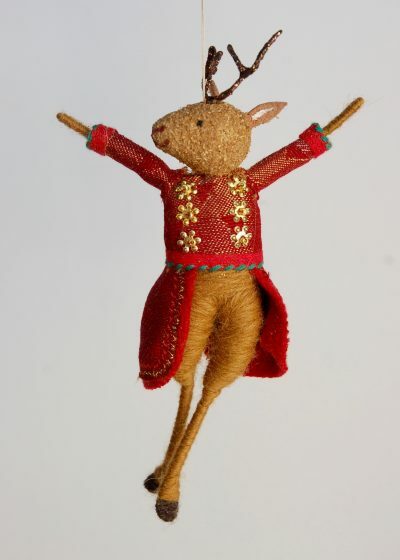 Designed and made by Halinka, Miss Fox wears a red dress with a bit of sparkle and a green tweed coat trimmed with fur – similar to the Festive Fox!!! 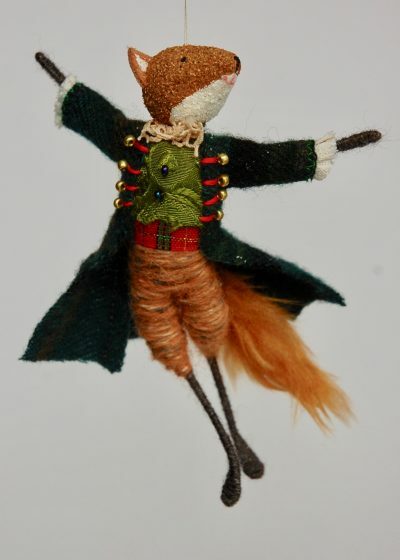 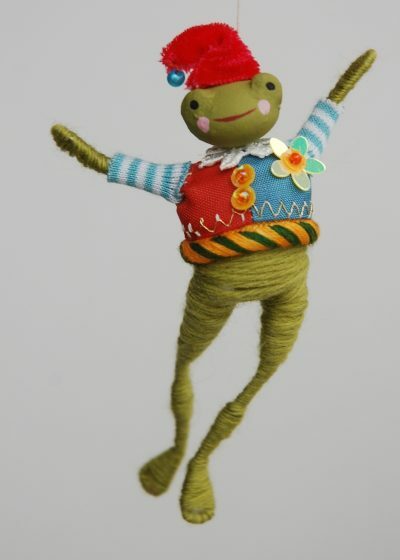 She dances through the forest – in search of Festive Fox?!!! 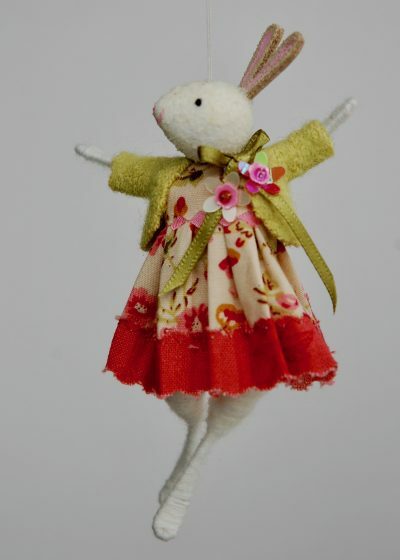 She measures 13cm tall and arrives in her own gift box.